Finally, a Babel Fish that doesn't feed on brainwave energy. But tucked into the tail end of the presentation, Google quietly revealed that it had changed the world with a pair of wireless headphones. Not to be outdone by Apple's Air Pods and their wirelessly-charging TicTac storage case, Google packed its headphones (in combination with the Pixel 2) with the power to translate between 40 languages, literally in real-time. The company has finally done what science fiction and countless Kickstarters have been promising us, but failing to deliver on, for years. This technology could fundamentally change how we communicate across the global community. Just 20 years ago, if you wanted to have a passage of text translated using the internet rather than tracking down someone that actually spoke the language, you likely did it through Altavista's Babel Fish. Launched in 1997, it supported a dozen languages but often returned translations that were barely more intelligible than the text you put in. Over the next couple of decades, translation technology steadily improved but could never compete with natural language speakers for accuracy or speed. Remember last year's Indiegogo project darling, the Pilot from Waverly Labs? Reportedly leveraging "speech recognition, machine translation and the advances of wearable technology" these paired devices would be split between the people conversing and inserted into the ear. 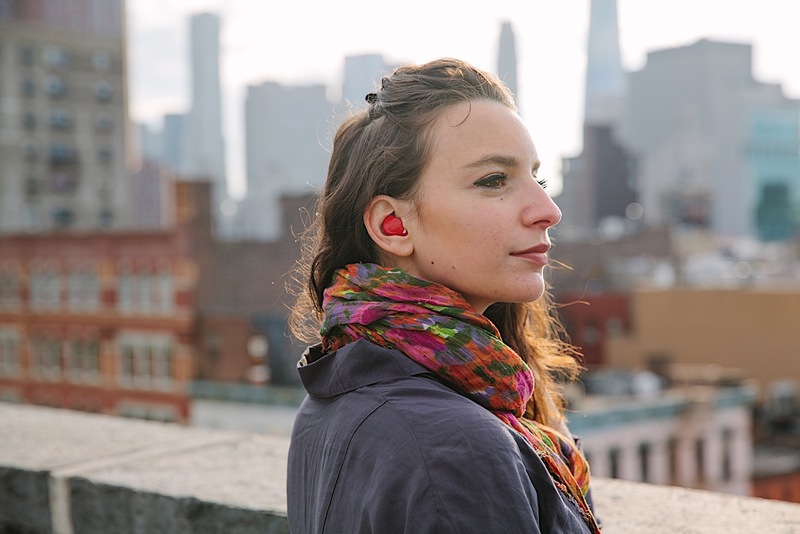 When one person speaks, the other earpiece automatically translates those words. Or at least that's how it's supposed to work. The crowdfunding campaign closed last year and deliveries have yet to begin, though the company states that it will begin shipping units in Fall 2017. But there's no need to do that now. Google didn't just beat Waverly Labs to the punch, Google knocked them down with 25 additional languages (40 to the Pilot's 15) and then stole their lunch money with a $160 price tag -- $140 less than what Waverly wants for the Pilot. But this isn't just about an industry titan curb stomping its startup competition, this new high bar can, and likely will, have far-reaching implications for the global community. It's as close as we can get to a Douglas Adams-esque Babel Fish without having to genetically engineer one ourselves. With these devices in circulation, the barriers of communications simply fall away. You'll be able to walk up to nearly anybody in another country and hold a fluid, natural language conversation without the need for pantomime and large hand gestures, or worry of offending with a mispronunciation. International commerce and communication could become as mundane as making a local phone call. The frictions of international diplomacy could be smoothed as well, ensuring that not only are a diplomat's words faithfully translated but that a copy of the conversation is recorded as well. Granted, this isn't some magic bullet that will single-handedly bring about world peace and harmony among all peoples. You'll still have plenty of nonverbal and culturally insensitive means of putting your foot in your mouth but until we make like the Empire and develop Galactic Standard, Google's Pixel Buds are our new best bet for understanding one another.